The value of the components is directly represented along with the symbol. For example resistor values are represented as K for Kilo Ohm and R or E for Ohms. Capacitors are represented as C , Diodes and LED as D, Variable resistors as VR, Thermister as TH, Coil as L, Transistors as T or Q, Relay as RL, Potentiometer as POT or P, Transformer as TR etc. Some components are represented using their names itself. 1. First study the circuit diagram well and identify the components and their values. 2. 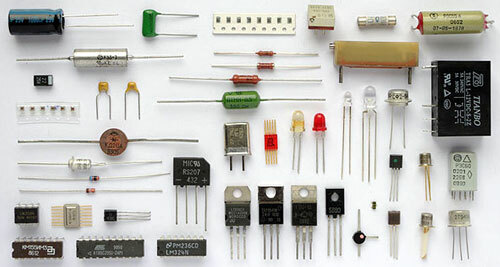 Make a list of components such as resistors, capacitors transistors etc with their value and type. 3. Enquire in the shop about the rare components in the circuit. If they are available, the other components can be purchased. 4. If you are going to construct the circuit on Bread board or Common PCB, first connect resistors, then capacitors, ICs, transistors etc. 5. Finally connect the power supply. 6. Touch the components to check whether there is any heating of components due to shorting. If so immediately disconnect the power supply and test the error. Fig. 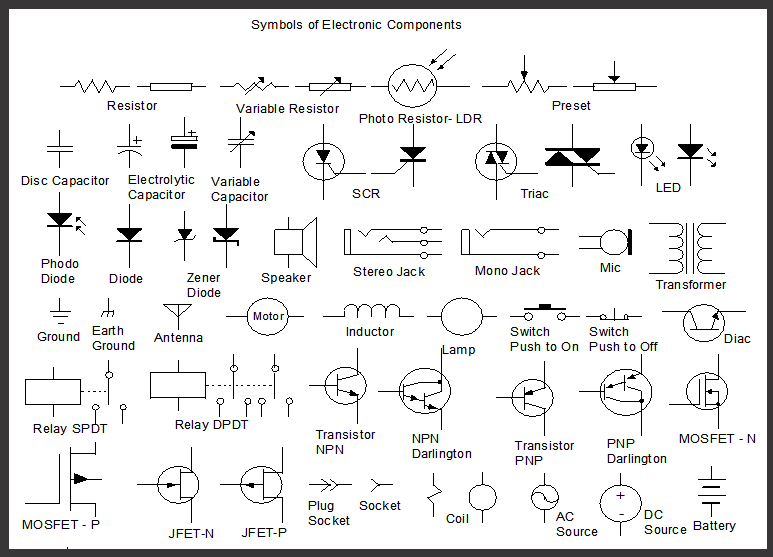 1 and 2 shows the symbols of the Electronic components and Fig.3 the circuit diagram of a Lamp chaser.